Hi guys! I'm so happy you all seemed to like last week's post! I wasn't too happy with how the pictures turned out, but you were all so enthusiastic! Thank you! This week I've got an easy going manicure for you! 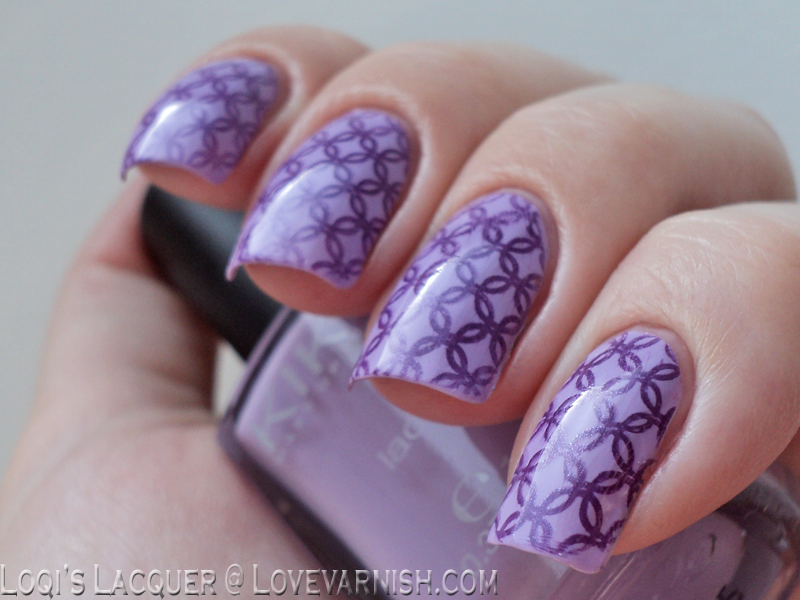 <3 stamping. 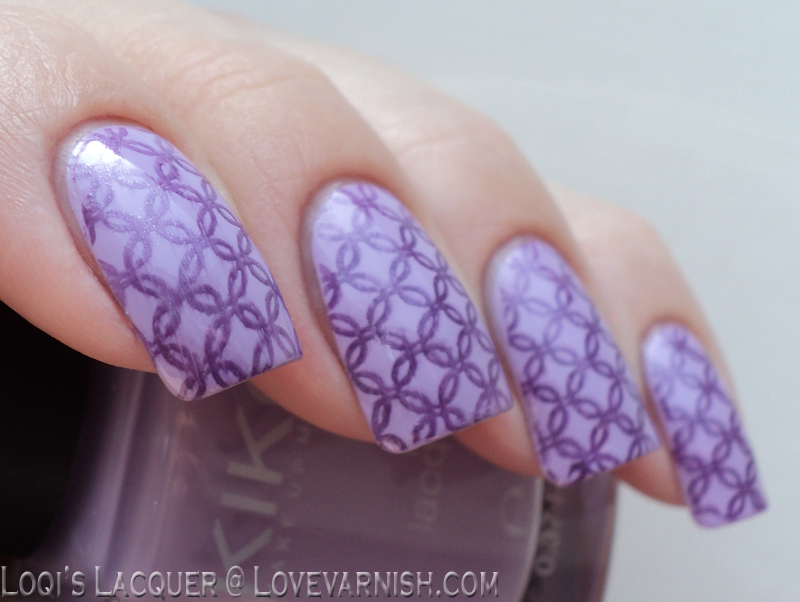 For this week's manicure I used one of my most loved Kiko polishes, 330 Lilac. 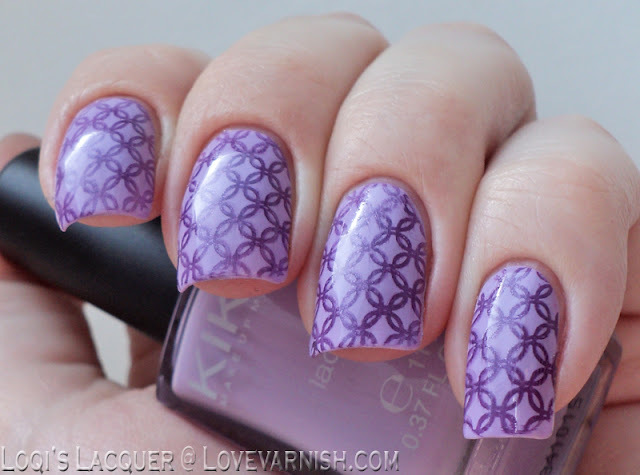 This polish is lilac, plain and simple, and it's lovely! 2 smooth, buttery coats of this and it is perfect. 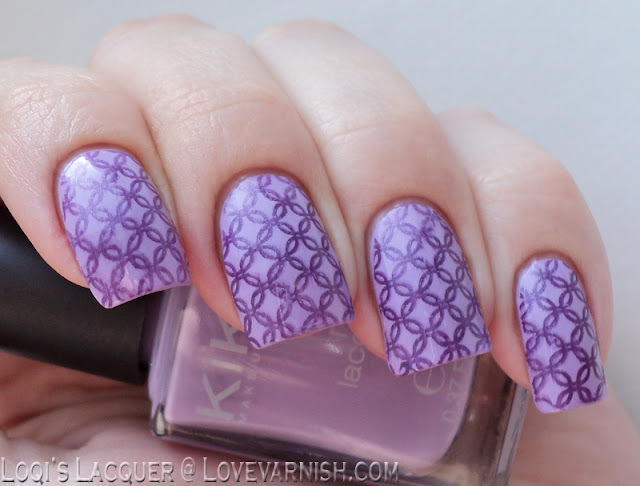 For stamping I used Konad Purple, which I totally forgot I had, oops! The image I used is from the Bundle monster XL01 plate, one of my favourites. Quick and easy! I hope you like it and see you next week!